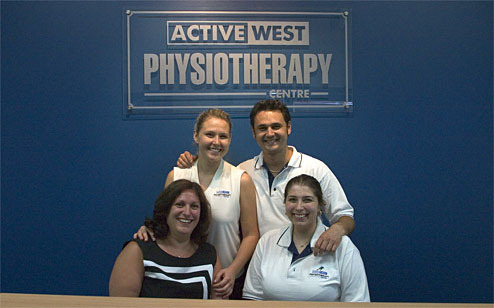 The Active West Physiotherapy Centre is a unique establishment which caters for all injuries. Utilising modern training equipment with qualified staff, patients are able to undergo complete rehabilitation within one comfortable and safe complex. Treatment rooms are individually enclosed which maintains discretion and privacy for all. The centre is easily accessible, and located in a modern building with ample on-site parking.